Actor Alan Alda says he has Parkinson’s disease. Appearing Tuesday on “CBS This Morning,” the former “M.A.S.H.” star said he was diagnosed with the neurodegenerative disorder 3½ ago. Actor Alan Alda, known for his roles on “M.A.S.H.,” “The West Wing” and “The Aviator,” announced on Tuesday that he has Parkinson’s disease. Speaking on “CBS This Morning,” Alda said he has had “a full life” since he received the diagnosis 3½ years ago. Parkinson’s disease is a nervous system disorder impacting movement, though symptoms may not show up in the early stages. Although there is no cure, there are medications and other options that can help patients with symptoms. There is no specific test for Parkinson’s, which is diagnosed by doctors taking into account medical history, conducting a neurological and medical exam and reviewing symptoms. There is a scan that can help support a doctor’s diagnosis. Alda said there are “people who are suffering with really severe symptoms. Symptoms can get very bad and their families can suffer.” But for him, at this stage, he doesn’t want to be immobilized by fear. The actor – who takes boxing lessons and plays tennis three times a week – says he’s been in movies since his diagnosis. “It hasn’t stopped my life at all. I’ve had a richer life than I’ve had up until now,” he said. During Alda’s long career, he has played a range of roles, from Jack Donaghy’s father on “30 Rock” to host of the PBS series “Scientific American Frontiers” for 13 seasons. He’s also won six Emmys and six Golden Globes. There is a center at Stony Brook University named after Alda focused on helping medical professionals and scientists communicate with patients and the public. 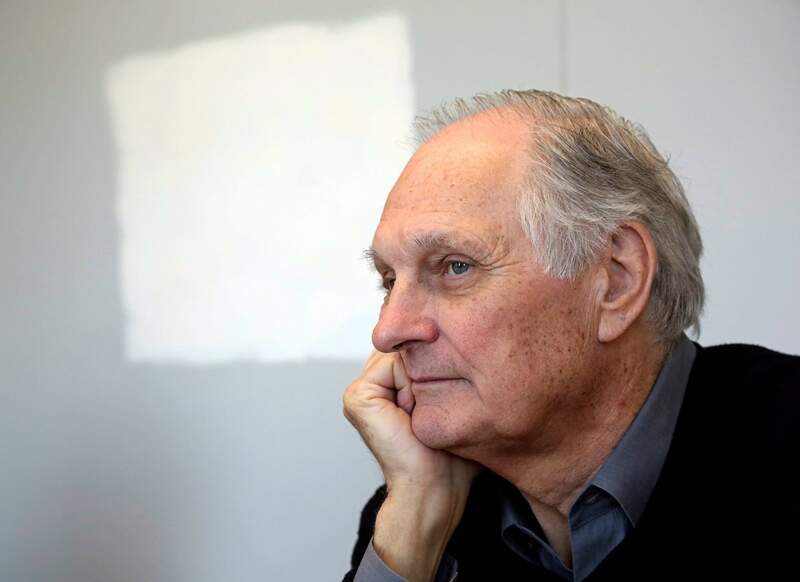 “It would be kind of ironic if I get quiet about this,” Alda said.